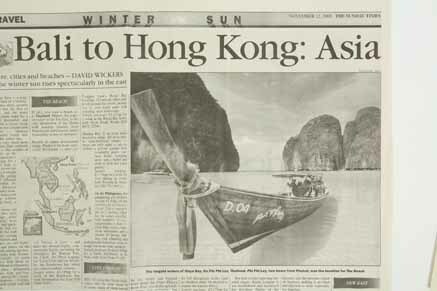 My stock photo of Maya Bay, Koh Phi Phi Ley, near Krabi, THAILAND where "The Beach" was filmed, in the travel section of this well respected publication. 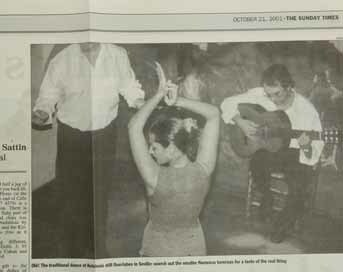 My stock photo of a flamenco dancer in Seville, Andalucia, southern Spain in the travel section of this large circulation newspaper. 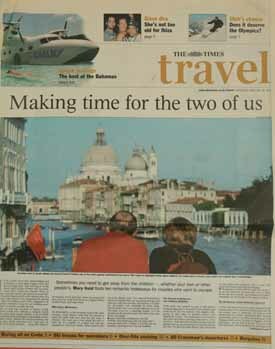 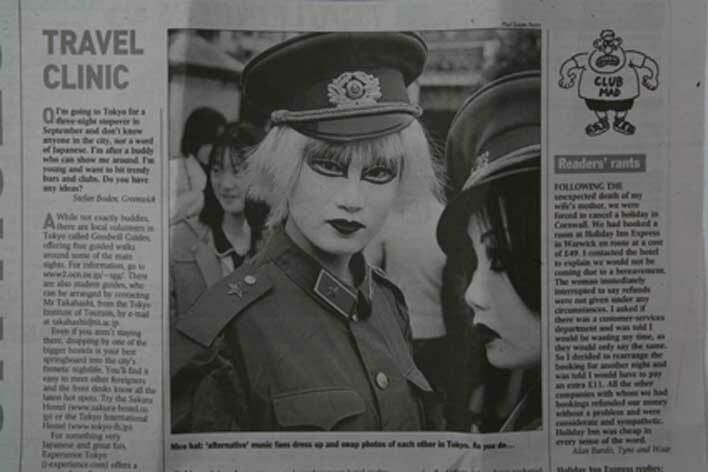 THE TIMES (UK) used one of my Tokyo shots in its travel section. 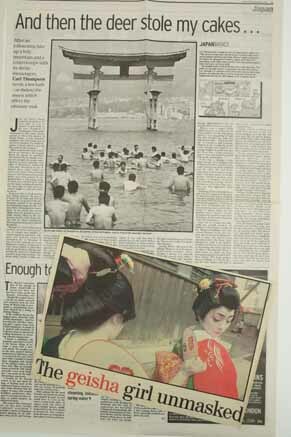 A couple of my stock photos of JAPAN used by UK newspapers.